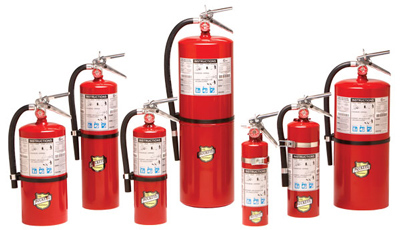 Fire Extinguisher Certification involves training, experience, and then taking and passing a comprehensive examination to prove that a fire protection technician knows how to do his job properly. The most extensive examination and fire extinguisher certification is administered by Unfed (National Association of Fire Extinguisher & Safety Distributors). This test is given by the ICC (International Code Council). The ICC also tests several other professions for certification. The fire extinguisher certification involves taking a series of examinations depending on the type of fire protection that the technician has been trained and is testing for. This test can be very difficult to pass due to being so extensive. Many states require UnFed Certification for Fire Extinguisher & Safety technicians. Georgia and New Jersey require NaFed Certification. Some jurisdictions in New Yorkare now requiring this as well. It is hoped that all states will go to this type of certification. A company, FPC Ltd. (Fire Protection Certification) also provides fire protection certification and fire extinguisher certification, kitchen fire suppression systems, industrial fire protection and DOT training. Many states accept this certification including Louisiana. This training and fire extinguisher certification also involves hands-on training and testing to prove that the fire protection technician knows how to properly perform service. Though this certification is not required in many states FESCO Fire Extinguisher & Safety Service Company, LLC. New York, NY, Newark, NJ, Los Angeles, , highly recommends this training and fire extinguisher certification for all fire protection technicians.